Dr. Kandeh K. Yumkella is a distinguished development economist and an expert in agricultural economics with over 25 years of international experience. Previously he served as former United Nations Under-Secretary-General and Special Representative of the UN Secretary-General for Sustainable Energy for All and Chief Executive Officer for the Sustainable Energy for All (SE4All) Initiative (2013 – 2015) where he brought a renewed and vital focus to global energy issues and led the coordination of the United Nations response to energy issues. As Special Representative, Mr. Yumkella mobilized action toward a sustainable energy future and accelerated the implementation of the Secretary-General’s initiative. In this role, he successfully engaged with the leadership of relevant stakeholders in government, businesses, academia and civil society at the highest level to advocate for and promote sustainable energy for all. Prior to his appointment as Special Representative and Chief Executive, Dr. Yumkella was appointed Co-Chair of the High-level Group on Sustainable Energy for All by United Nations Secretary General in recognition of his leadership and passion for energy and environment-related causes following a decision by the United Nations General Assembly to designate 2012 as the International Year for Sustainable Energy for All. In this position, he was instrumental in guiding the initiative and in underscoring the need for universal access to energy, increased energy efficiency and enhanced deployment of renewable sources of energy. From 2008-2015 United Nations Secretary-General appointed him Chair of UN- Energy in an effort to bring together all the United Nations organizations dealing with energy related issues. 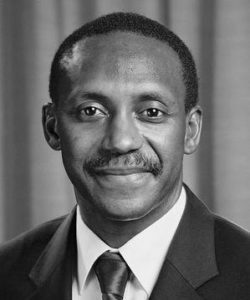 As its Chairman, Dr. Yumkella brought a renewed and vital focus to global energy issues and helped to coordinate the United Nations response to energy issues. From 2008 – 2010, Dr. Yumkella was Chair of the Secretary-General’s Advisory Group on Energy and Climate Change (AGECC) where he played a leading international role in identifying the lack of access to energy as a crucial constraint for development efforts. As a Member of the Rio+20 Principals Group, he played a crucial role in the preparations leading to the 2012 United Nations Conference on Sustainable Development and has been an active member of the United Nations Development Group (UNDG), with responsibilities for setting and coordinating the global development priorities of the United Nations. Dr. Yumkella served as Director General of United Nations Industrial Development Organization (UNIDO) for two four-year terms. He is the first from Sub-Saharan Africa to have been appointed to the position having worked in various high-level policy positions in the organization, including as Special Adviser to two previous Directors-General and as Director of the Africa and Least Developed Countries Regional Bureau as well as Representative and Director of the first UNIDO Regional Office in Nigeria. Under his leadership, UNIDO was at the forefront in providing solutions to many of the challenges the global community faces today: poverty, jobs, wealth creation and climate change. As special adviser to two former UNIDO Directors-General, he provided advice, leadership and strategic guidance on managing multilateral programmes, multicultural teams and interdisciplinary advisory services in fields such as institutional capacity-building, trade capacity-building, poverty reduction, industrial development dialogue and country-level donor coordination. Dr. Yumkella has consistently provided conceptual and operational leadership at national, sub- regional and regional levels and managed staff at UNIDO Headquarters and field offices related to Africa and LDCs. He has facilitated international cooperation and strategic partnerships with bilateral and multilateral development agencies, including other United Nations agencies, and throughout his career he has consistently promoted interregional cooperation as well as South-South cooperation. He also facilitated high-level policy dialogue, consensus-building, advocacy and diplomatic negotiations at conferences of Heads of State, including the African Union, the Conference of African Ministers ofIndustry(CAMI),and United Nations global conferences.